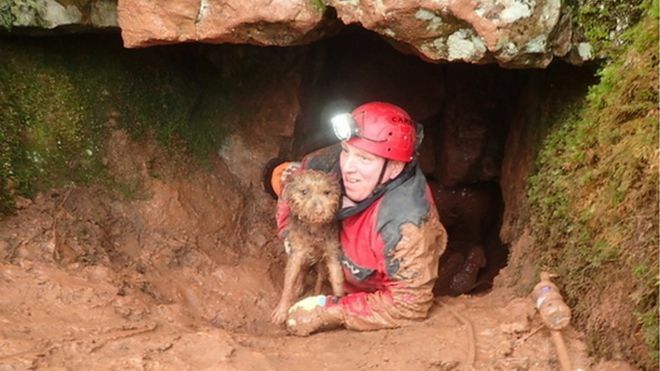 A dog that spent more than three days underground has been reunited with its owner. 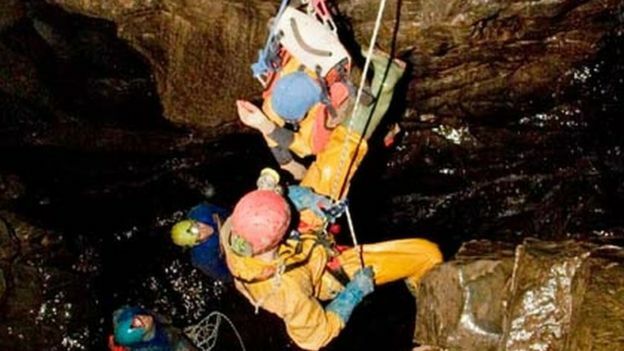 The animal, called George, was found a few metres into Ogof Taf Fechan caves in Cwm Fechan near Merthyr Tydfil after getting stuck in a hole. The caves have several entrances but all are filled with earth and rocks, or are too tight for a person to access. However, South Wales Fire and Rescue Service and South and Mid Wales Cave Rescue members managed to dig him out. 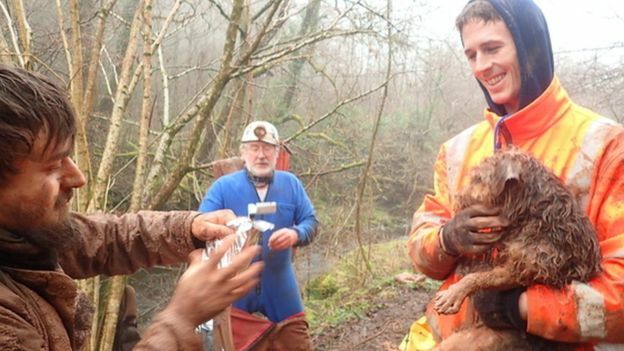 The teams spent three days trying to reach the dog, who was eventually rescued on Sunday. The animal’s owner, Alex Barrett, was walking with all his dogs when George ran off and got himself stuck. “I could hear him, so I thought he was really close to the surface, so I spent about eight hours trying to dig him out before I called the fire brigade,” Mr Barrett said. “The hole was too small, so they got in touch with the cave rescue team who were there for about three days trying to get him out,” Mr Barrett added. Mr Barrett said George was “completely back to normal” now he was home.